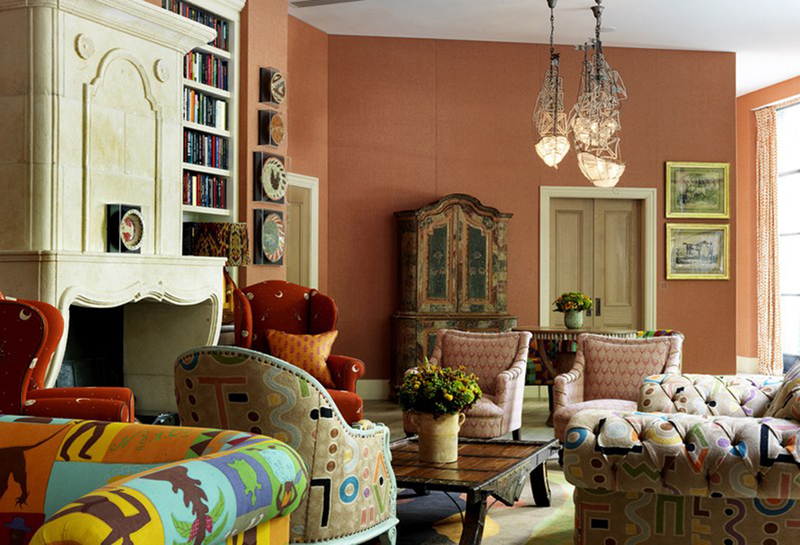 I don't know about you, but I would love to have my home look like a beautiful boutique hotel. I know it's not everyone's thing, some people like a more lived in homely look, and others, like me, have that lived in homely look, even though it's not actually what they want! Ha, I know, I'm never satisfied and I never stop thinking about the next changes I'll make to our home. It's exhausting, and on one hand, I wish I could just get everything 'finished' and stop. Be done, and be satisfied. But that's not who I am, that's not what I do, and it's very unlikely to happen any time soon! Budget. Money. Lack of budget and money is what stops me achieving the look I really want in my home, but I chip away at it, and with each little change, I get a little bit closer to the look I actually want. In this moodboard I've included Lamps from Pooky and French Connection, a vintage coffee table, rug, and framed scarf, a sofa from Made.com, a hexagonal pouffe from Swoon Editions, and Tom Abbiss Smith artwork. 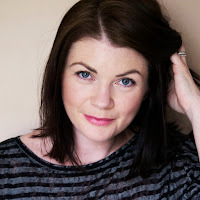 I've blogged before about getting a high-end glamorous look without breaking the bank, and many of these points cross-over, but today I'm gearing specifically towards a Boutique Hotel Lobby Inspired Look. Just rolls of the tongue doesn't it? Texture is important here and you could do a lot worse than going for some grasscloth (if you've got cash to splash), or some faux grasscloth or linen look textured wallpaper. Look for actual texture rather than printed 'texture', and make sure you always order samples first. What can look great on screen can look terrible in the flesh and you do get what you pay for. And for some reason that I just can not figure out, some companies seem to think that glitter is a good thing on these papers. It's not. Harlequin do some that look good, and I'm actually awaiting some samples to potentially use in my home, and you also may have seen the fab textured wallpaper that I used on the back of my living room shelves a while back from Graham & Brown, that is also a great option, but the colour options are very limited. Budget dependant, also look at Designers Guild, and if you've got really deep pockets (lucky you) look at Thibaut, Andrew Martin, Urbane Living and Phillip Jeffries. The higher end brands have a much bigger and better colour range, so I do apologise in advance if you see an incredible colour but it's a gazillion pounds a metre or roll. Let me know if you find any amazing options that don't cost the earth! If you can't stretch to real or faux grasscloth, all is not lost. How about a bit of DIY wall moulding? No? Statement wallpaper? 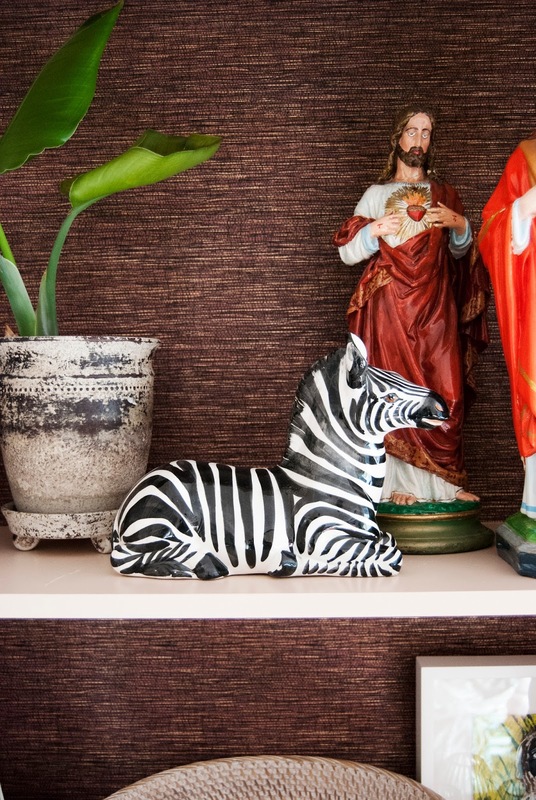 But not a feature wall - to make this look work you have to go all out. And of course if none of the above are an option, then go with a new lick of paint in a lovely, rich, saturated colour of choice. That doesn't have to mean super dark or super bright. In fact, please don't. 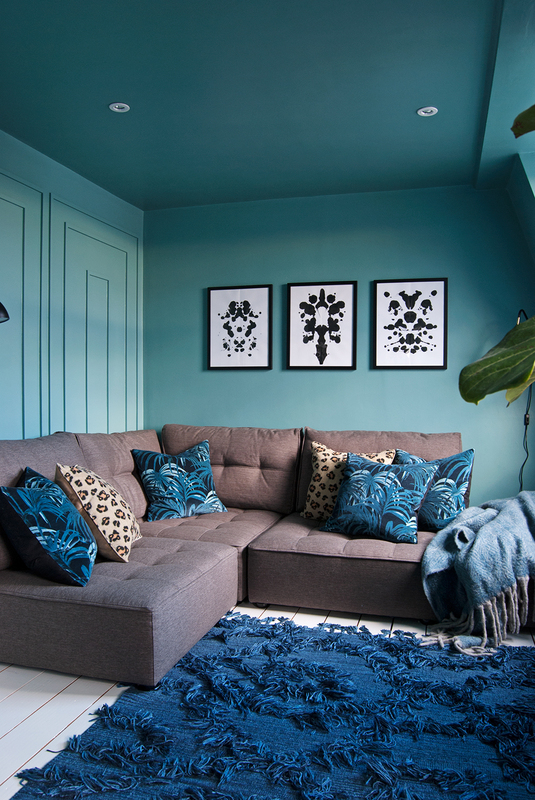 There are plenty of saturated colour options for a huge impact without needing to live in a cave or a tacky nursery! I think my TV room is a great example of that, and there's a bit of DIY wall moulding in there too. 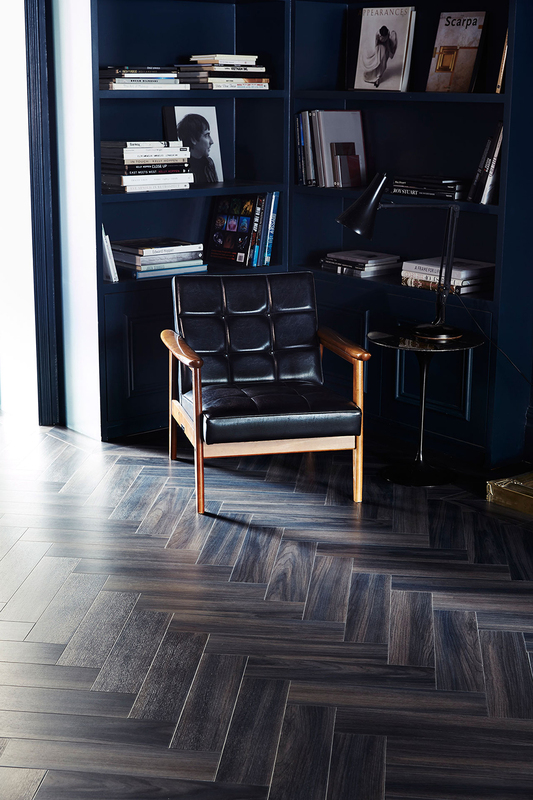 The dream is herringbone or chevron parquet. Obvs. There are loads of choices these days - real wood blocks, engineered wood, and incredibly convincing and virtually indestructible luxury vinyl tiles. Failing that, and even if you can have the perfect flooring already, you need to add a rug. More than one of your room is big. Think vintage Oriental, or Beni Ourain (real if budget allows), or an amazing pattern. Not a plain rug, which is basically just a piece of carpet. 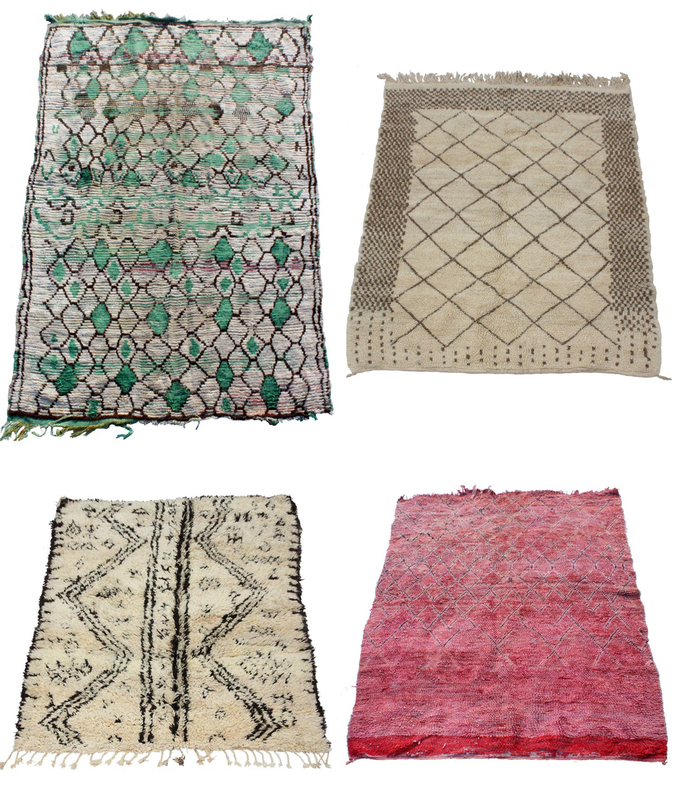 Add to the textured, layered look and think pattern and / or heavy texture like the incredible vintage Beni Ourain rugs from Moroc Tribal (firmly on my must own one day list). La Redoute have great rugs, as do Plantation Rug Company and Anthroplogie (tip: wait for the sale!). Places like Benuta and are also worth checking out. Mix it up here. Although this is not my usual style, I do love this look (it's just not for me, in my home). So think mixed jewel tones in sumptuous fabrics like velvet and linens, and add lots of pattern. You can really just go for it with this look! Use a mixture of prints on upholstery, curtains, blinds, cushions and lampshades. If mixing patterns is terrifying to you, make sure to stick to a limited colour palette and there's less chance of it going horribly wrong. It's not hard to make a lampshade with a kit and a piece of your favourite fabric, so they needn't cost a load. Made.com and Swoon Editions both do some amazingly decently priced sofas and pouffes with a gorgeous selection of coloured, alongside other boutique hotel lobby worthy furniture. 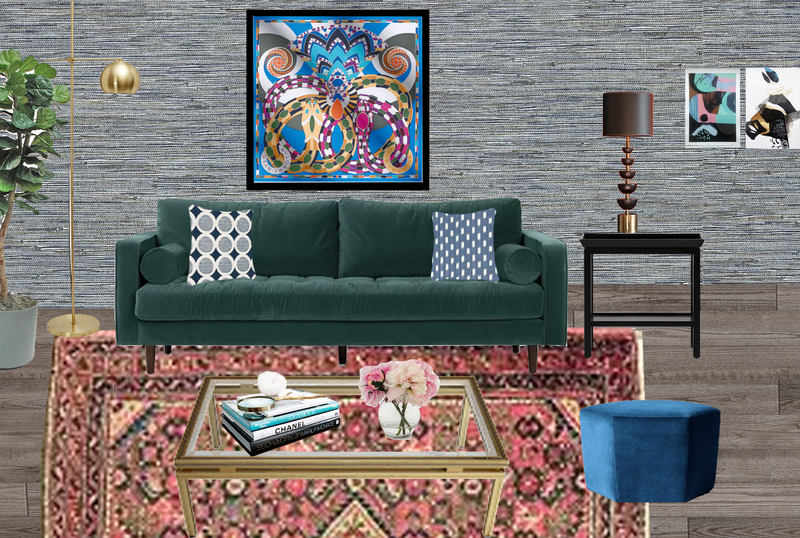 To get a really unique room, you need to mix up the new pieces with vintage. Trawl your favourite vintage shops and eBay, for some real gems, like a Pierre Vendel brass and glass coffee table, and side tables. Or a big sculptural vase or ceramic creature! Something that no one else has. It's my vintage pieces that I most often get asked about. As you know, lighting is super important and you can't have too many lamps. I have the French Connection brass floor lamp on the moodboard, and it's beautiful. There are some super glam lamps around these days, and places like Pooky, Vaughn (if you have deep pockets), OKA, and surprisingly, some cheaper places online, have some stunning lamps and shades that really make a room. Shop around. I'm a firm believer in the bigger the better with lamps. If you have very little budget, eBay is your friend again. Look for some bases that you like the shape of, and spray paint them if you don't like the colour like I've done in the image above. Then you can spend on some lovely shades like these fab Ikat ones from Pooky, or make some yourself with a lampshade kit as mentioned above. Be creative here, and don't buy generic art for the sake of it that is meaningless. Search for an up and coming artist for something different, something that really speaks to you. Maybe frame a vintage scarf. There's a constant stream of beautiful vintage Hermes scarves on eBay (Vintage though, you hear? 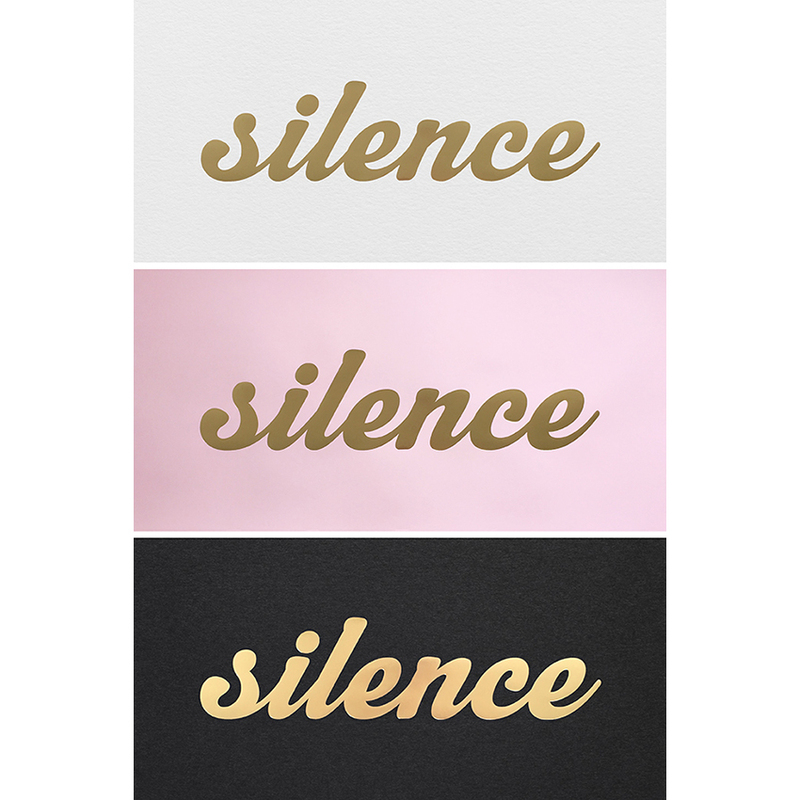 ), so you can wait to find the right one that works with your colour scheme, and you won't see it all over Pinterest and Instagram. 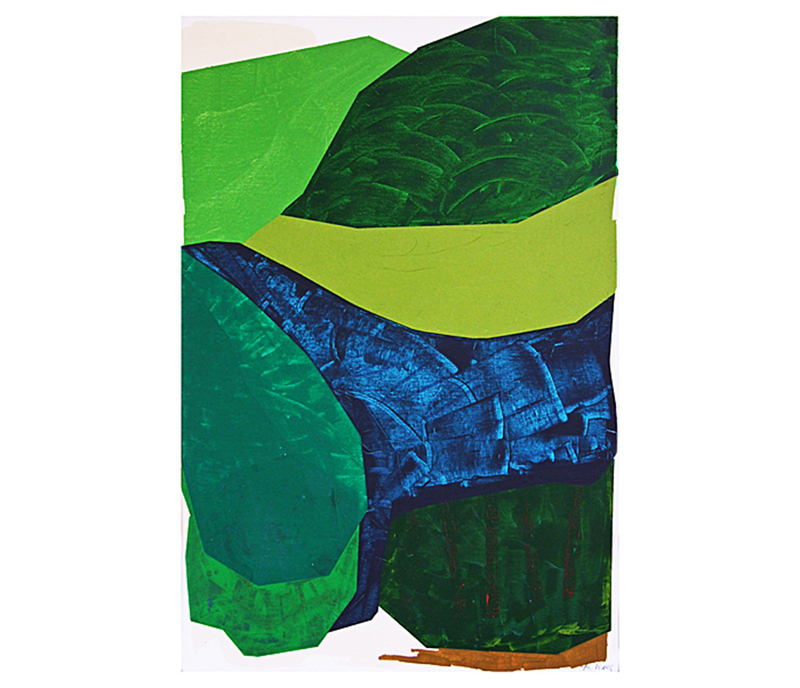 Don't discount galleries as being too expensive as you might just be pleasantly surprised. And you never know where it might lead you. I wrote a post about how to buy grown up art a while back with some more tips. I'm a big fan of Alan Fears paintings. Don't forget some plants! The bigger the better. Fiddle leaf fig trees are still very desirable and beautifully sculptural plants, but Kentia Palms, ZZ plants and are also beautiful and easy to care for options. 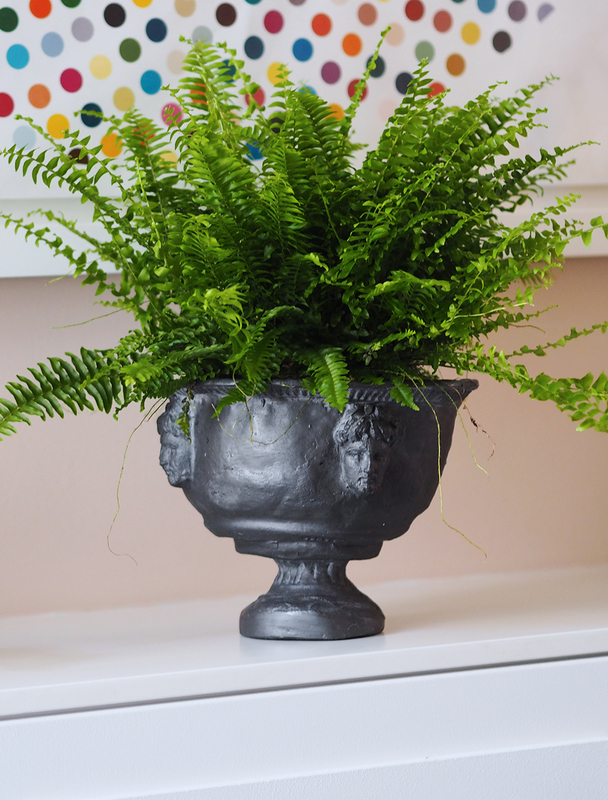 Huge ferns in urns also make stunning additions. Add a bit of interest and a feeling of luxury by adding a splash of glam. Brass details (an oversized brass framed mirror for example), a leather topped cabinet, and antiqued mirrored wall, a marble side table. These materials all ooze glamour, but if you source and use them cleverly they needn't cost the earth. Try West Elm, Rockett St George and Swoon Editions for starters. If you have the space / time / money, keep your eyes peeled for a knockout piece for the room. It could be anything from a 70's moulded plastic hanging chair, to a brass palm tree lamp, a giant Jonathan Adler lucite hand, a sculptural 80's stone coffee table or a piece of vintage taxidermy. It's these wow pieces, alongside the combination of all the other elements that can make for a really incredible room. 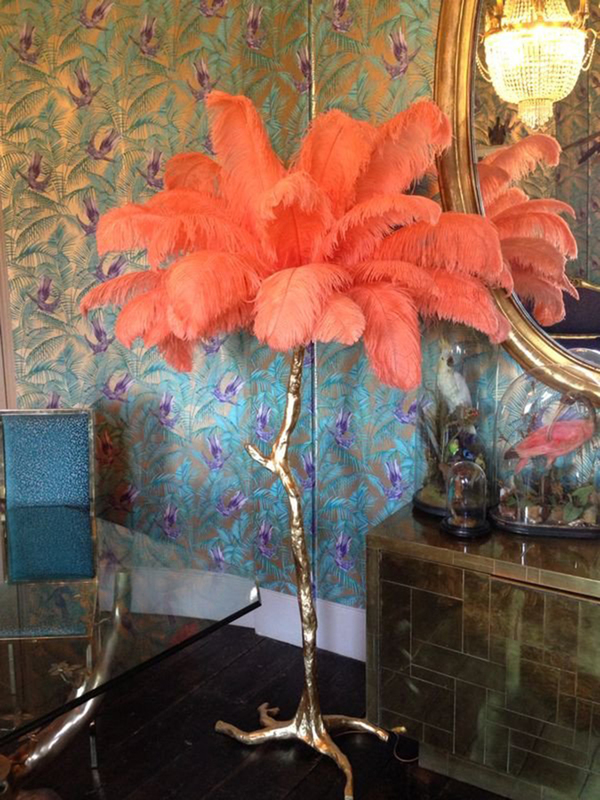 Yes, I know that an Ostrich Feather lamp is out of most peoples price range, but this really does demonstrate the impact of a knockout piece in a room rather beautifully don't you think? Also firmly on my must own one day list! So there you go. This is a look that you can achieve yourself if you set your mind to it, and it doesn't have to cost billions, though obviously it can also cost plenty if you have the cash to splash! This look is primarily about texture, layering and colour and clever use of materials.